If you have any questions related to mental health, or would like to seek help from Over-The-Rainbow, we would be happy to assist. If you feel that you have already done all that you could to improve your mental and emotional wellbeing, but your mood is still undermining your ability to function in your daily life, then you should seek professional help. Feeling depressed, disempowered, and hopeless on most days. Unable to focus and concentrate on your school/work/home life. Coping with emotions by using food, smoking, alcohol, and/or drugs. Engaging in self-destructive thoughts including thoughts of death or suicide. If you have been experiencing some of the signs described above for two weeks or more, tell someone you trust. You should also seriously consider making an appointment with a mental health professional. Qualified and experienced professionals will provide you with a wider repertoire of options and strategies than what you have on your own. If someone you know is in immediate physical danger, please contact Singapore Police Force (SPF) or Singapore Civil Defence Force (SCDF) immediately. A crisis can hit anyone at any time. The sense of hopelessness and despair at the height of a crisis can cause people to contemplate suicide as a way to escape their emotional pain. However, people can and do recover from this difficult period, especially when there is strong support from the people around them. Some people may also need professional support to help them through a crisis. If YOU are in some form of crisis or feeling suicidal, then contact someone and let them know about it. If someone you know is going through a hard time, do know that you are already helping just by being there for the person! Find out more about helping someone in crisis. Emotional support and practical advice are rendered through this helpline. Also for gaming addiction, Internet-related issues and information on youth programmes. Provides early prevention, detection, intervention and support for youths, aged 18-30, at risk of/suffering from mental illness. CHAT/Community Health Assessment Team: Provides a free and confidential mental health check for those between 16 and 30 years old. SAMH/Singapore Association for Mental Health: Provides quality community care and rehabilitative services to persons with mental health conditions. Silver Ribbon (Singapore): Combats mental health stigma, encourages early treatment and facilitates integration of people with mental illness into society. Provides complimentary counselling service. 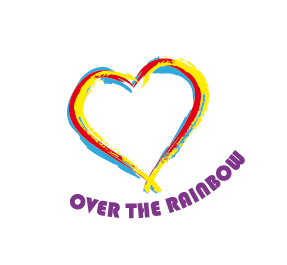 Over-The-Rainbow: Promotes mental wellness through holistic self-care. Use this form to contact us for help or use our Circle-of-Care platform. Beyond A Maze: Shares stories, poetry, art and resources about mental health. The Tapestry Project Singapore: Shares inspirational stories about mental health. The Mental Health Repository: Winding through the Willows: Promotes mental health literacy through providing resources and information. Offers mental health and educational services for children and youths up to 19 years of age. Most patients are experiencing emotional and behavioural problems requiring professional intervention, not mental illnesses. A private psychiatric clinic with a professional staff (psychiatrists, psychologists, therapists, and counsellors) offering outpatient evaluation and treatment services for emotional distress and mental illnesses. 559 Bukit Timah Road, #01-02, King’s Arcade, Singapore 269695. Offers inpatient and outpatient psychological and psychiatric treatments with a multi-disciplinary team (psychiatrists, psychologists, nurses, medical social workers, and occupational therapists). Provides diverse and comprehensive inpatient and outpatient psychiatric services for children/adolescents, adults, and the elderly. Provides a full range of inpatient and outpatient psychiatric services for individuals suffering from various mental illnesses of all age groups with a multidisciplinary team: medical and surgical professionals, occupational therapists, medical social workers, case managers, psychologists, and counsellors. Offers psychiatric services for diverse individuals with mental illnesses.